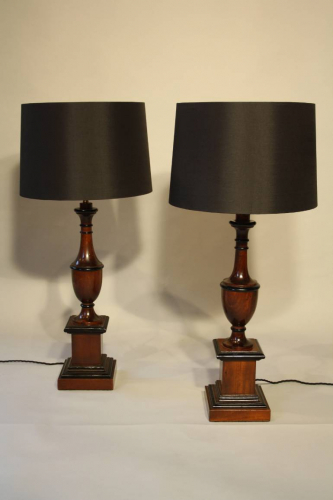 Very elegant and stylish pair of urn shaped black and dark brown wood table lamps. French c1970. Shades included. PAT tested and rewired for UK.